W’Kabi: Would you really kill me, my love? The way Danai Gurira says “without question” gets me every time. To me, there is nothing lacking from Black Panther but W’Kabi’s storyline is the one that leaves room for the most questions. How could he betray his best friend like that? How could he so easily choose to fight against his love? Why is W’Kabi the WORST? Well, a deleted scene (!!!) from Black Panther was just released and Okoye has those very same questions. The tension! 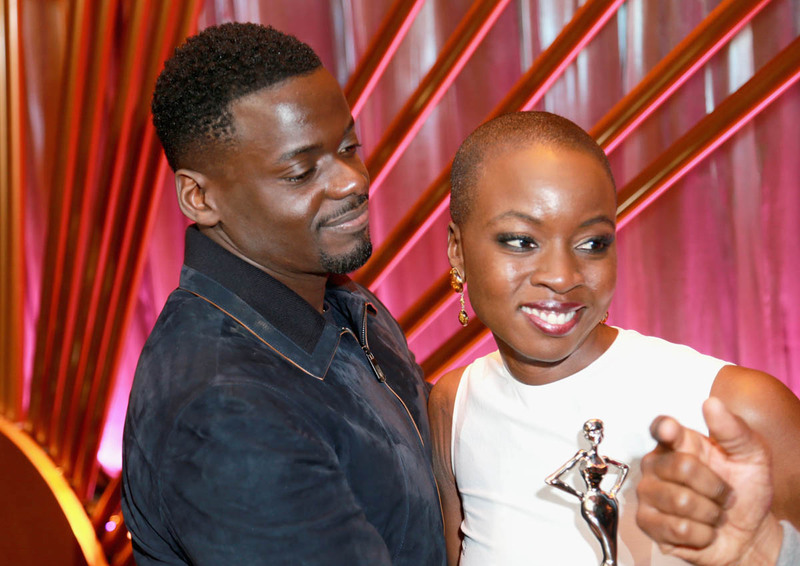 This scene is a spectacular display of both Danai Gurira’s and Daniel Kaluuya’s talent. Goddamn. I understand why it was cut (pacing, W’Kabi is the worst, etc) but goddamn. It gives even more context to the W’Kabi’s submission scene I referenced above and gives more insight into his motivations. It also delves into Okoye’s role as a woman and as the leader of the Dora Milaje. W’Kabi wants her to give up her general title to start a family. Is W’Kabi a wasteman who doesn’t deserve to breathe the same air as Okoye let alone be the father of her childen? Without question. Aside from all of that, this scene is a great example of the ways in which Black Panther delivered the best romances of the Marvel Cinematic Universe. One of the biggest criticisms of the MCU I’ve seen since Infinity War is that the romances are sh-t. In defense of the MCU, romance isn’t exactly the highest thing on these movies’ priority list. They are trying to pack a lot of story into a couple of hours and unfortunately, the romances suffer. It’s not surprising that the scenes that may give these romantic subplots more depth end up on the cutting room floor. But Black Panther was able to do both. Aside from T’Challa and Nakia, I can’t think of a romance in the MCU I’m actually rooting for. I didn’t mind Peter Quill and Gamora in Guardians but in Infinity War, it was glaringly obvious that Peter is a wasteman and like Okoye, Gamora deserves better. I’ll always be here for Tony Stark and Pepper Potts but they’re the old class of the MCU. Can Bucky and Shuri be the new Tony and Pepper, please? If this is what we can expect from the Black Panther bonus features coming with the digital and blu-ray release this month, I can’t f-cking wait. Give me all the romance deleted scenes. Take all my money.